Aromatherapists and natural medicine practitioners know that high quality essential oils can have dramatic effects on the mood of their clients. But, are the mood-enhancing effects of essential oils all in the head? Well, that depends on whether you mean the placebo effect or brain hormone balancers. A growing body of research shows that the mood-improving effects of essential oils is not all in the mind of the person experiencing the transformation, but the result of balancing hormones, particularly brain hormones like serotonin or adrenal hormones like cortisol. The distinct flavor and aroma that gives Earl Grey tea its uniquely delightful experience can also improve your mental and emotional states. That’s because the oil that gives the tea its characteristic scent, bergamot, has also been found to reduce the hormone that is linked to high stress states, known as cortisone. 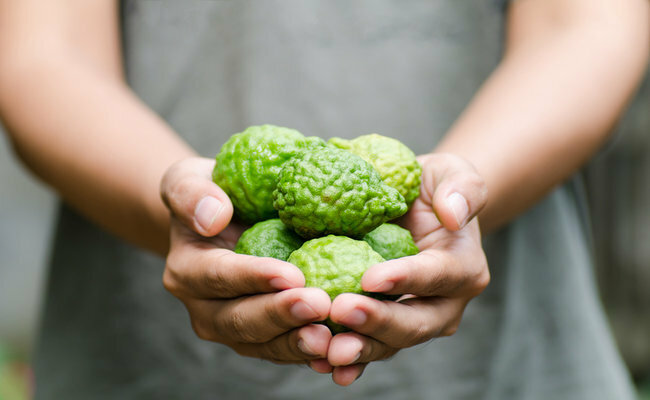 Research shows that bergamot essential oil can lower anxiety and stress while also balancing cortisol levels, more than what rest alone can achieve. Cedar essential oil won’t just keep the moths away, it may also keep the blues at bay. That’s because research published in the International Journal of Environmental Research and Public Health found that inhalation of cedar essential oil during monotonous work reduced the markers of stress and improved hormone balance. Frequently used by aromatherapists to balance hormones in women, research in the medical journal Phytotherapy Research validates this traditional use. The study found that exposure to the natural scent clary sage increased the happiness hormone serotonin (5-hydroxytryptamine) while simultaneously reducing the stress hormone cortisol in menopausal women. The researchers concluded that clary sage essential oil had an anti-depressant-like effect on the women. The resinous essential oil of frankincense contains a powerful therapeutic substance known as boswellic acid, which has been found in the study Molecular Neurobiology to reduce brain and nerve inflammation. Brain inflammation has been linked to depression. Related: Is Brain Inflammation Causing Depression? Geranium has been found to be helpful in emotional healing linked to imbalanced hormones during perimenopause. Perimenopause is the time of a woman’s life when she starts experiencing menstrual changes up to 10 years prior to menopause. In a study published in the journal Neuro-Endocrinology Letters, researchers found that the essential oil’s effectiveness may be linked to its ability to restore falling estrogen levels during perimenopause. Lavender essential oil has been used to promote feelings of wellbeing, lift depression and ease anxiety, and plentiful research confirms that these mood-enhancing and emotional balancing effects are at least in part due to lavender’s effects on the brain. According to research published in Frontiers in Pharmacology to bind to serotonin receptor sites in the brain thereby reducing anxiety and improving our feelings of wellbeing. Here’s a small but interesting study published in the medical journal Physiology & Behavior. Researchers divided study participants in a dental office into two groups: those who were subjected to orange essential oil prior to dental treatments and those who were not subjected to the smell of any oil before their dental appointments. People were evaluated and those who inhaled orange oil prior to their treatment had lower levels of anxiety, increased calmness and a better mood than the others. Research in the medical journal Natural Products Research explored the effects of vetiver essential oil compared to the drug diazepam in its ability to reduce anxiety. Inhalation of vetiver essential oil had a comparable effect to the anti-anxiety drug. However, vetiver has not been linked to the lengthy list of side-effects of diazepam, including: lack of muscle coordination, stomach pain, headaches, confusion, blurry vision or the feelings of sadness or discouragement. When it comes to essential oils, you usually get what you pay for. Cheap oils are often extended with artificial or other ingredients, making them have only negligible therapeutic benefits, if any at all. Worse than that, some cheap oils have been found to contain harmful ingredients and are best avoided. Diffusing high quality essential oils in the air is one of the best ways to reap the beneficial effects of these powerful natural medicines. Burners are best avoided since the heat can damage the delicate oils, change their molecular structure or cause them to smoke. Add 5 to 8 drops of the oil or oils of your choice to a diffuser and diffuse for up to an hour.